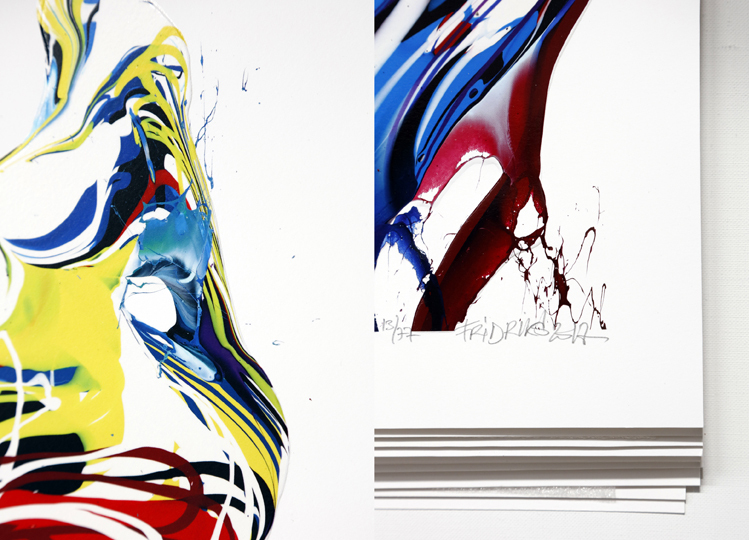 These exclusive new fine art editions by Katrin Fridriks are faithful to artist’s renowned high standards regarding screen print technique and quality. (Utilizing peculiar printing and varnishing techniques, as well as the same paint used at her studio, these prints are flawlessly capturing her unmistakable energy and precision.) Meticulously produced in close collaboration with Coriander Studio, with whom Fridriks Workshop joined forces in the past, the editions kept the quality level and vital attributes of the original artworks. 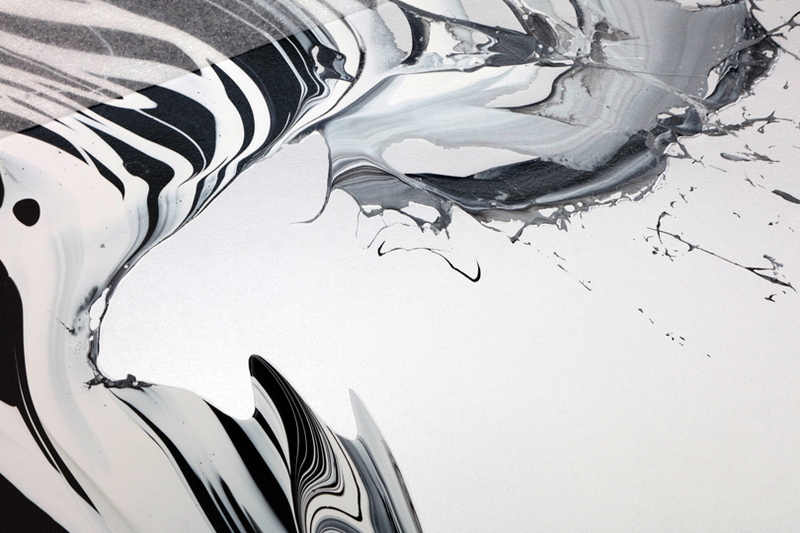 For both prints, Katrin Fridriks insisted on keeping the signature thickness of the paint and texture effect. By carefully selecting certain areas through the embossing technique, as well as applying partial glossy varnish, the finished works enhance the volume effect and the brightness of the colors. 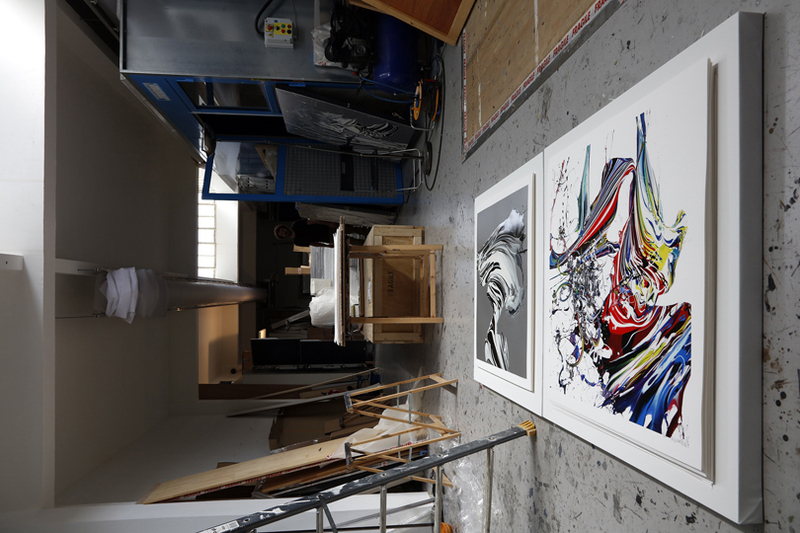 For re-creating her iconic “Waving Miracle & Magic Mind” black/white series, Katrin Fridriks and Coriander Studio applied Lascaux 995 paint to replicate the exact same silver background of the original Fridriks artworks. This cosmic tone creates various luminous reflection effects when viewing the print from different angles. 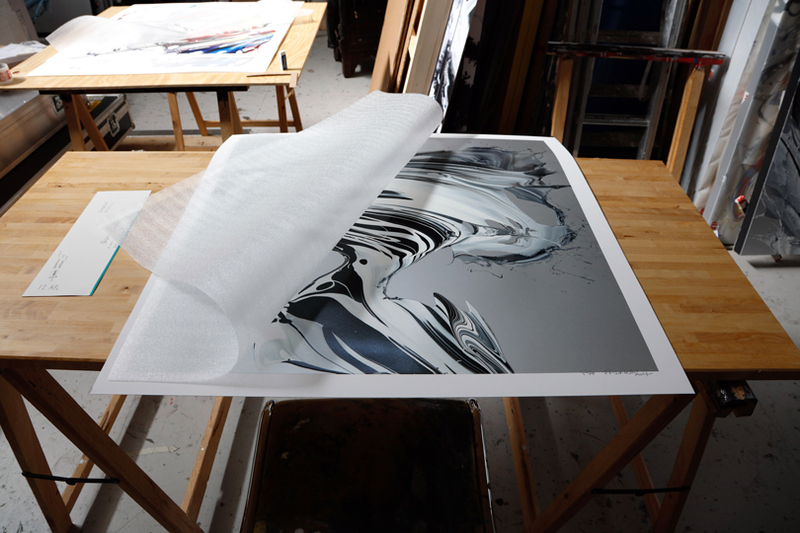 As for “Waving Force of Nature – Awakening” color series, Fridriks chose a raw white mat background in order to accent the fierce energy of the image, at the same time allowing the screen printed organic macroscopic black/white details to intensify the contrasts between the elements and techniques used.